A colleague of mine recently commented, “There’s not much going on with TVs. They’re all the same.” I was about to start an argument on the benefits of having new models featuring six HMDI ports versus only four but I realized that on the surface, my colleague was correct. The flat screen revolution is behind us – however TVs (or rather video viewing) is now evolving and changes may come from different areas than we expect. 1) Physically moving the TV was incredibly difficult. The weight of the old screen was too much for my son (who is 6’3” and makes the weight room his 2nd home) and me (OK, maybe I’m the lightweight here) to carry. It was unbelievably bulky and heavy. We had to turn a chair with rollers into a makeshift dolly and then slide the console down the stairs. It was real effort. 2) Disposing of the TV was a challenge. I live on a busy street where items of any value taken to the curb are instantly snapped up by bargain hunters and hobbyists. Surely a working, large TV would last no more than 30 minutes there. To my surprise, the TV was there the next day – so I put a sign on it “TV is in good working condition – ring the doorbell if you need help loading it”. After a week of no takers, I was forced to pay $15 to a disposal company to haul it away. Bottom line: The flat screen revolution is over – you cannot even give an old picture tube unit away. So since the revolution is over, let’s move on to the future evolution. Two major technology changes have been proposed; 3D viewing and 4K resolution. For 3D viewing, different technologies have been in production for some time but nowhere do I see home viewers regularly strapping on the required glasses and watching 3D content. As for 4K resolution (also named Ultra HD), the top end of the market for existing HD TV’s offer 2K viewing (what is known as 1080p resolution), this means that the recently introduced 4K models are double this resolution (the technical specs are 3840 pixels × 2160 lines). Today there a few 4K TVs available for under $1,000 but the amount of content available to view at this resolution is very limited. If 3D and 4K are not the next stages in the flat screen revolution, where are we going? The answer: it’s all about the Apps. 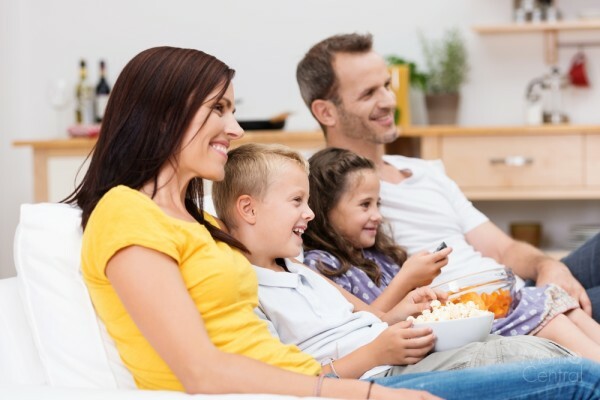 It’s the software that links your big screen centerpiece TV and connects it to a variety of media sources. Streaming video, games, home automation control, video conferencing, and viewing your homemade photos and videos on your big screen are where the action is. Each of these require software and integration – and the winners of the next phase of the evolution will get this software right by making it easy and intuitive to use. So in early January, all of the industry leaders in this market will converge at the annual CES trade show to highlight their latest and greatest products. My plan is to check out the software and see who is getting it right – and who doesn’t have a clue! Stay tuned.